Verizon Wireless today confirmed that the Razer Phone 2 has been certified on its network. This means the phone supports a base level of performance with respect to connecting to 3G/4G, connecting calls, and accessing data. Verizon doesn't actually sell the Razer Phone 2. 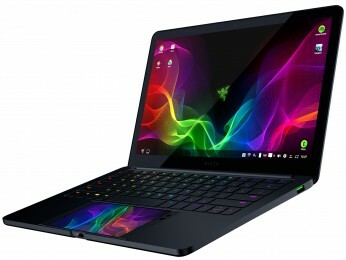 Razer offers the device unlocked via Best Buy and it can be used on Verizon's network should the owner wish. Razer took to its Twitter account to admit that an issue is preventing owners of the Razer Phone 2 from using their device on Verizon's network. "We're aware that Verizon is not enabled on the #RazerPhone 2 right now and are working to enable it ASAP — hang in there!" said the company. The $800 phone, which launched earlier this month, targets gamers with a high refresh rate display, powerful camera, stereo speakers, and boosted graphics. 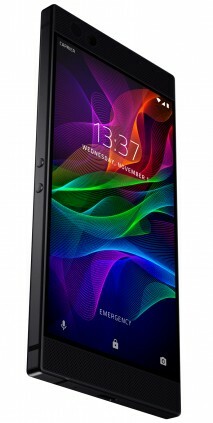 It is sold directly from Razer unlocked and supports a number of LTE bands for U.S. networks. Razer didn't say how quickly it might push a patch to enable the Razer 2 on Verizon. 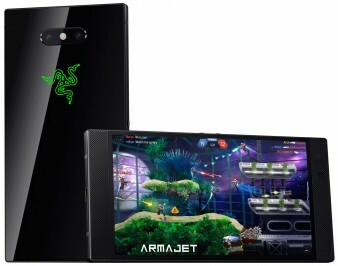 Razer has announced the Razer Phone 2, a follow up to the gaming device it launched last year. This new phone carries forward the same basic design, but upgrades the specs and performance. Starting with the display, Razer stuck with the 5.7-inch quad HD IGZO screen with a 120 Hz refresh rate, but improved brightness by 50%. The phone is powered by the Snapdragon 845 processor at 2.8 GHz with 8 GB of RAM and what Razer calls "vapor cooling" to help control thermals. Keeping the heat down leads to improved performance. The phone adopts a pair of Sony IMX sensors for the camera. The main camera features a wide field of view with a 12-megapixel sensor at f/1.75 and OIS, while the secondary camera has a telephoto lens with a 12-megapixel sensor at f/2.6. The phone can capture full HD video and 120fps slow motion. The front camera has an 8-megapixel sensor at f/2. 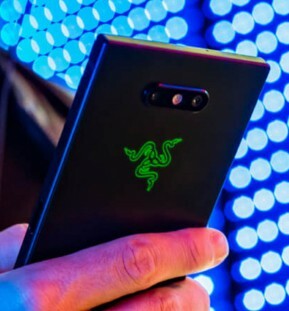 Razer added an illuminated Chroma to the rear of the phone, allowing owners to take advantage of presets or adjust the light however they wish. The phone has a 4,000mAh battery that supports rapid charging and wireless charging. The chassis is rated IP67 for protection against water and dust, and a fingerprint reader is located on the right edge. The front-facing stereo speakers are powered by a 24-bit DAC and support Dolby Atmos. Razer nixed the headphone jack, but it included a DAC-assisted USB-C-to-3.5mm adapter in the box. The phone runs Android 8.1 and has its own launcher styled after Razer's design language. It includes the Cortex Mobile app where owners can find the latest games. The Razer Phone 2 comes in either black satin or black mirror. It supports most U.S. LTE bands and can run on AT&T, T-Mobile, and Verizon. 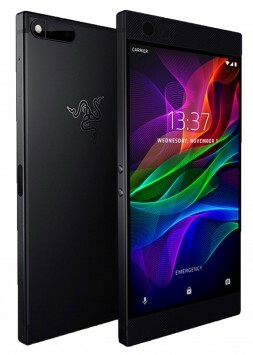 The phone is available for preorder direct from Razer for $799. 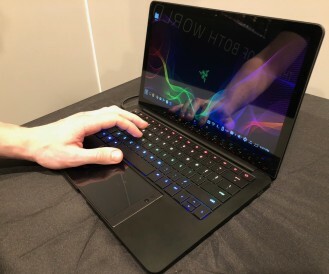 Razer today said it has struck a deal with Netflix that will allow its Razer smartphone to stream Netflix content with HDR+ video and 5.1 surround sound. 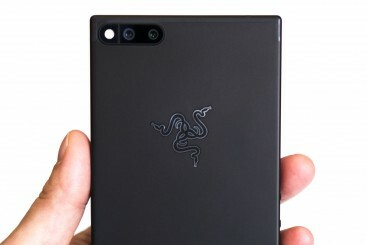 Razer claims its phone is the first to offer both these capabilities. One of the Razer's primary features is a display with a 120 Hz refresh rate. Moreover, the device has high-quality stereo speakers. In this case, the 5.1 surround sound will be created virtually using the stereo speakers (or headphones, if attached). The capabilities will be added through a software update planned for later this month. Razer's first phone is designed explicitly for gamers. 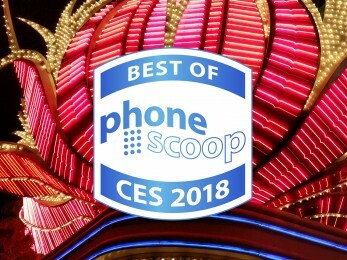 Unlike some past efforts by other companies, this one looks like a normal phone. It packs high-end technology, including a display with a variable refresh rate that crank up to 120 Hz. A number of other high-tech features and thoughtful design touches make this one of the best gaming phones we've seen to date, at least on paper. What's it like in person? Read on for our first impressions.